is a real treasure, a place of beauty and quiet relaxation in Southern Illinois. 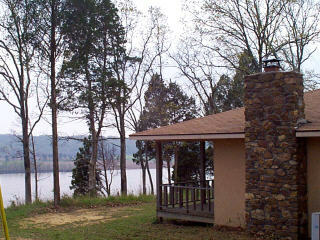 The two hundred acre site located within the Shawnee National Forest in Southern Illinois abounds in wildlife. Deer, turkey, and eagles are just a few of nature that call San Damiano home. San Damiano is only a three hour drive from St. Louis, five and one half hours south of Chicago, and four hours north of Memphis. Fully air-conditioned rooms and suites provide every amenity. 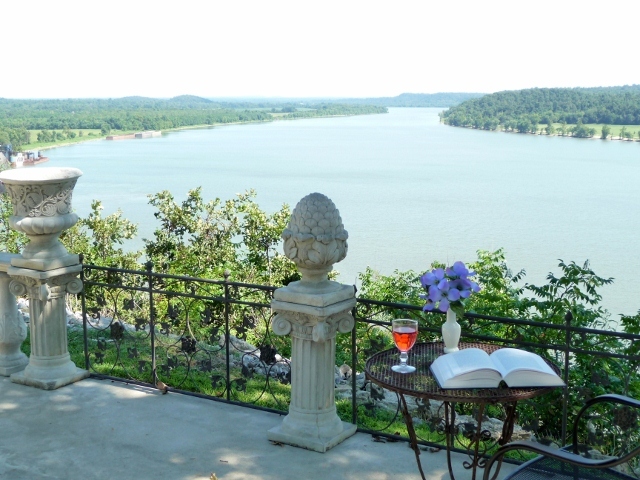 Each suite has a private deck overlooking the Ohio River which flows at the base of a two hundred foot cliff on which San Damiano is located. The Smithland Pool section of the Ohio River flows past San Damiano and separates Illinois and Kentucky. San Damiano offers its guests quiet walk ways through woods where white tail deer wander with their fawns. Guests can visit the peaceful Blessed Mother's Prayer Garden or Garden of the Angels, which has representations of the Choirs of Angels. Outdoor Stations of the Cross also offer a scenic way to remember the Passion of Our Lord. Many people think vacation must be a frantic and busy sightseeing adventure. At San Damiano one can move at a slower pace and relax in nature. However, for the more active there are a number of local attractions all within a thirty minute drive. Your Own Suite on the Ohio River Some lucky people have built a nice cottage in the woods...the mountains...or on the lake where they can retreat from the daily grind and routine. They have spent thousands of dollars on construction, and have the responsibility of continuous maintenance. They are responsible for grass cutting, property insurance, taxes, painting, repairs, and the expense of monthly utility bills. While they have a wonderful retreat in the woods, how lucky are they? At San Damiano we have done all the work for you, paid all the bills, mowed the lawn, and kept it safe and secure. All you have to do is call us and we will have the place ready for you anytime you want. We will even give you the same room or suite each time if you like. We will keep it up for you and make certain that everything is working. It is yours for the asking, as much, or as little as you want. So now this is what I, the Sovereign LORD, am saying: I am giving the land of Egypt to King Nebuchadnezzar. He will loot and plunder it and carry off all the wealth of Egypt as his army's pay.